92 min [ Locked in a prison orbiting 26,000 miles above earth. Escape was never thought possible...until now. ] 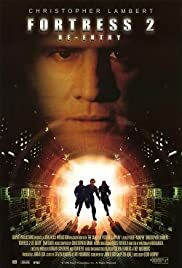 - 7 years after the original Fortress movie, Brennick along with the rebels are captured and sent to a new, more sophisticated fortress prison, in outer space.